N Sai Balaji was elected president with 2,161 votes while Sarika Chaudhary won the post of vice president with 2,692 votes. The Left unity bagged all four seats – president, vice president, joint secretary and general secretary – in Jawaharlal Nehru University Students’ Union elections on Sunday. N Sai Balaji was elected president with 2,161 votes while Sarika Chaudhary won the post of vice president with 2,692 votes. Aejaz Ahmad Rather and Amutha Jayadeep were elected general secretary and joint secretary. Balaji had a margin of 1,179 votes as Akhil Bharatiya Vidyarthi Parishad’s candidate for president, Lalit Pandey, received only 982 votes. ABVP’s vice president nominee Geetashri Boruah got 1,012 votes. 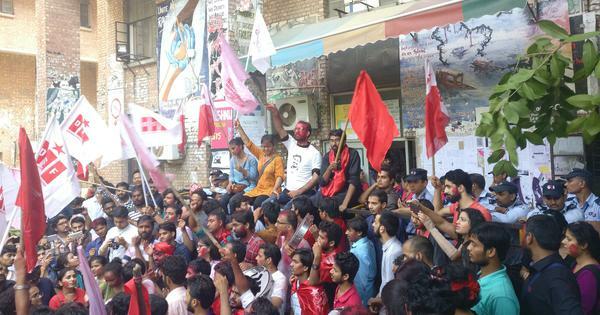 Supporters of Left unity began celebrating on campus as the results were declared, reported NDTV. Counting resumed on Sunday, a day after it was suspended as some students had allegedly entered the counting venue by force. Counting resumed on Saturday evening after being suspended for nearly 14 hours and continued through the night, into Sunday morning. By 12.30 pm, 4,481 out of the 5,185 votes polled had been counted. The election recorded 67.8% turnout compared to 58% last year. There was no violence reported on the university campus on Saturday night. However, some students who were returning from the Vasant Kunj police station after filing a complaint against the Rashtriya Swayamsevak Sangh-affiliated Akhil Bharatiya Vidyarthi Parishad were attacked, former General Secretary Satarupa Chakrabarty said. She claimed that the ABVP had brought in “hired goons” from Delhi University, and asserted that the group can “neither match JNU students’ united strength and solidarity, nor can they match our politics which is based on ideas”. However, Scroll.in has learnt that those men may not have been from the ABVP. The students also alleged that the ABVP had brought newly elected Delhi University Vice President Shakti Singh into the campus. They spotted Scorpio cars in campus and fearing an attack, sent around messages asking other students to assemble at the School of Languages. However, there was no violence. There were several personnel from the police and the Central Reserve Police Force around. 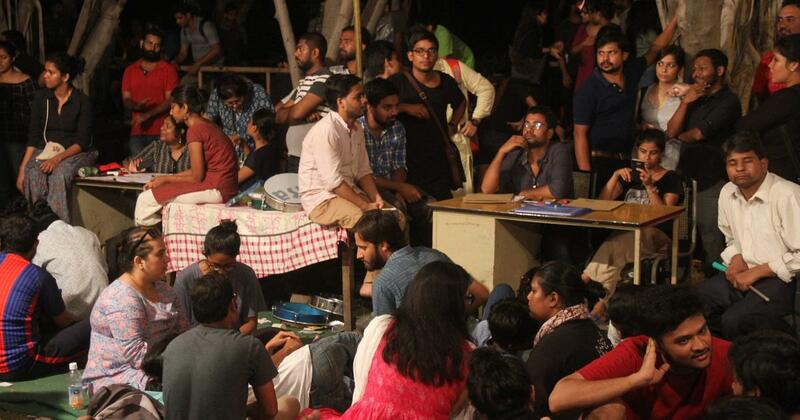 Former JNUSU Joint Secretary Saurabh Sharma, a member of the ABVP, issued a statement at 12.35 am denying that the group had allowed the cars in.